A refreshing and quick dessert that's even more delicious than the classic version, don't you think? 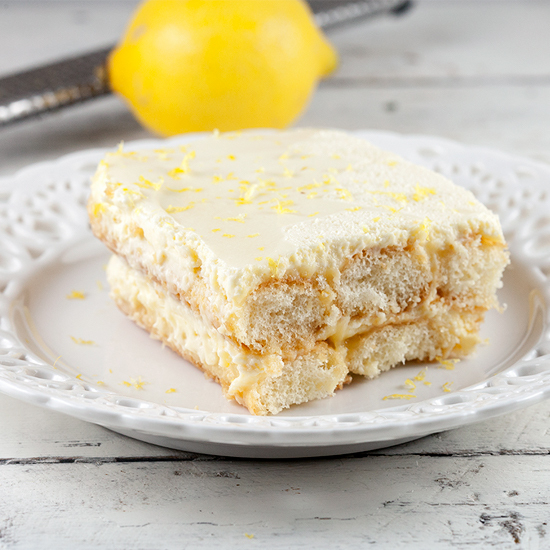 This limoncello tiramisu is perfect, with homemade lemon curd, mm! If you want to use a homemade lemon curd, you need to create it first so it has time to cool off. SEPARATE the egg yolks and whites. COMBINE the egg yolks with mascarpone and 4 tablespoons sugar and use a whisk to create a smooth mixture. BEAT the egg whites until they form stiff peaks using a standmixer. COMBINE the mascarpone mixture with the beaten egg whites until you’ve reached a smooth mixture and set aside. DIP half of the lady fingers into limoncello, one by one. To prevent the cookies from getting soggy and too boozy, it’s best to only dip one side of the lady finger into the limoncello. DIVIDE the lady fingers over the bottom of the oven dish. 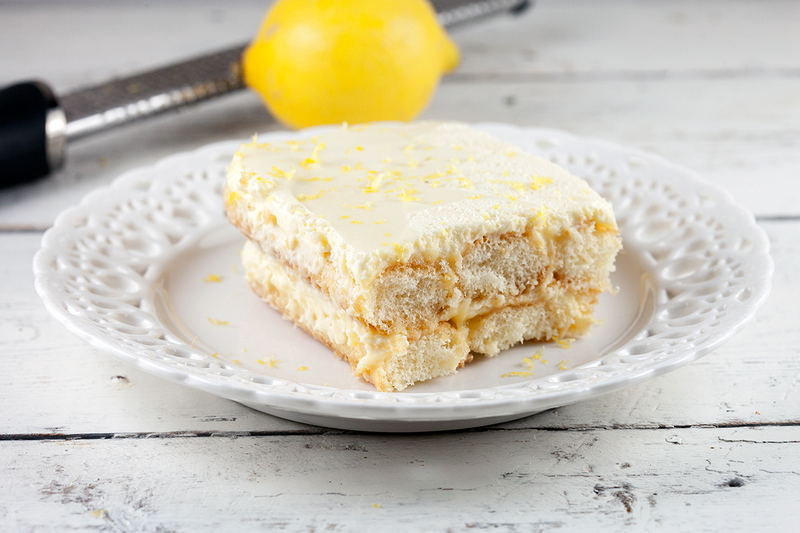 DIVIDE a layer of lemon curd over the lady fingers. 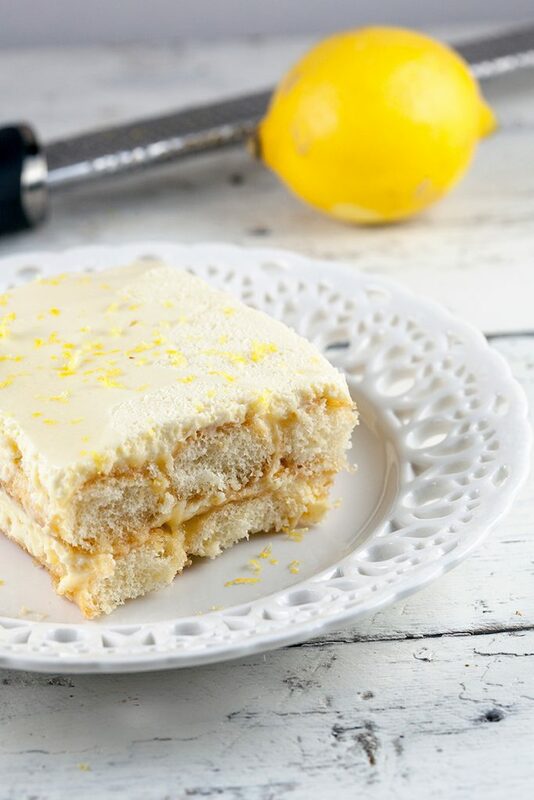 DIVIDE half of the mascarpone mixture over the lady fingers and lemon curd. 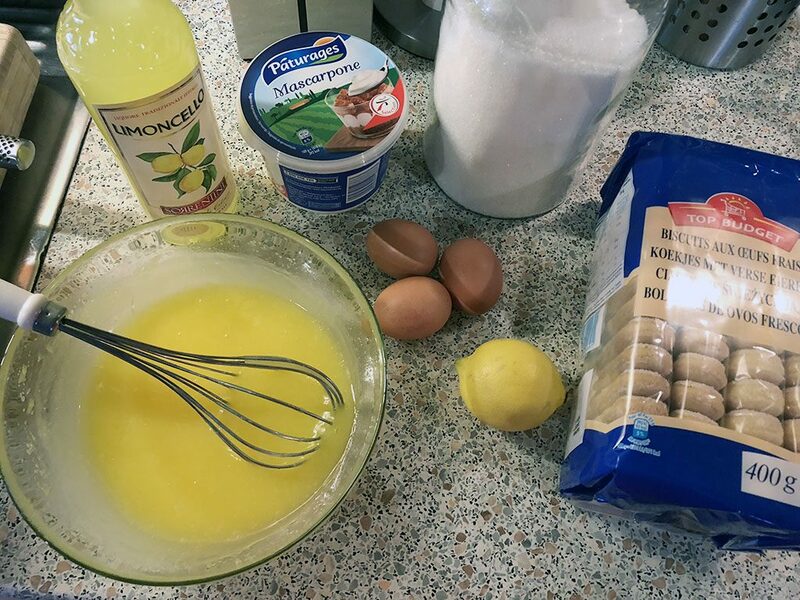 DIP the other lady fingers on one side into the limoncello and divide them over the mascarpone. FINISH with the rest of the lemon curd and mascarpone and COVER with cling film. REFRIGERATE for at least 4 hours, preferably overnight. FINISH with lemon zest and enjoy!